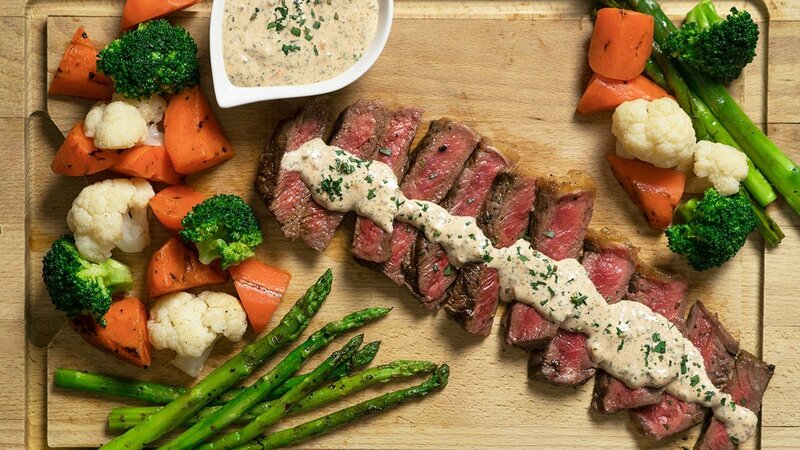 With a twist of Mayonnaise, this French Bernaise Sauce will elevate the taste of your meat. Heat vinegar over medium heat before adding in the shallot, tarragon. Let it cook for about 1 minute. Once done, pour herbs into a bowl of mayonnaise and add in chopped parsley. Season to taste with lemon, salt, pepper and cayenne pepper.